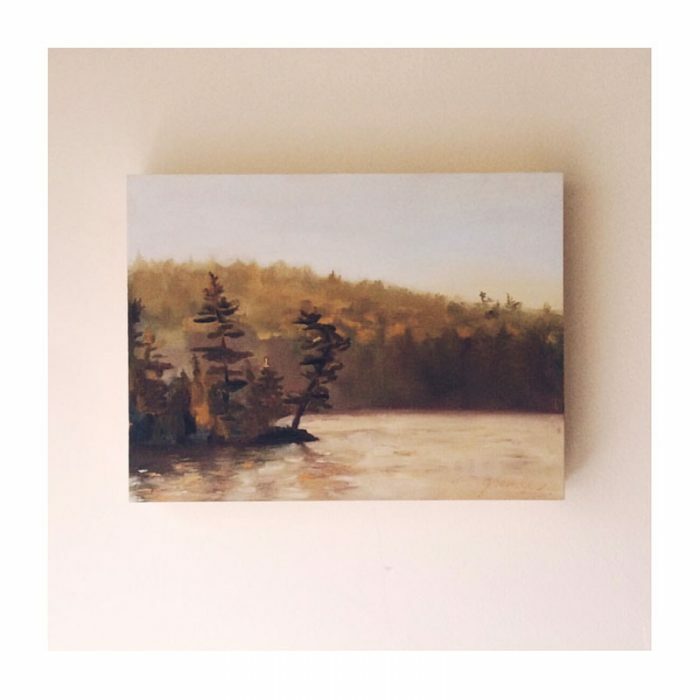 This original painting by Jessica Tamlin is from the artist’s Ontario Series. 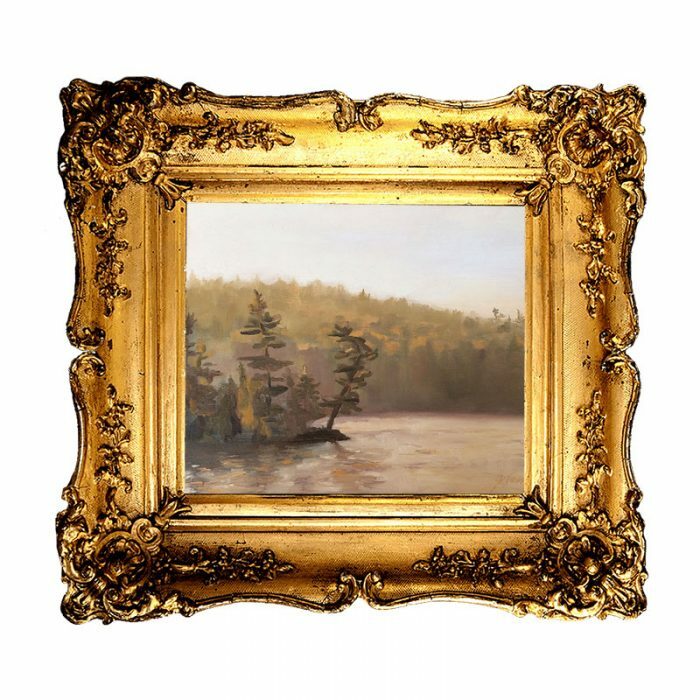 This piece is unframed, and measures 12” x 9” and is signed by the artist. 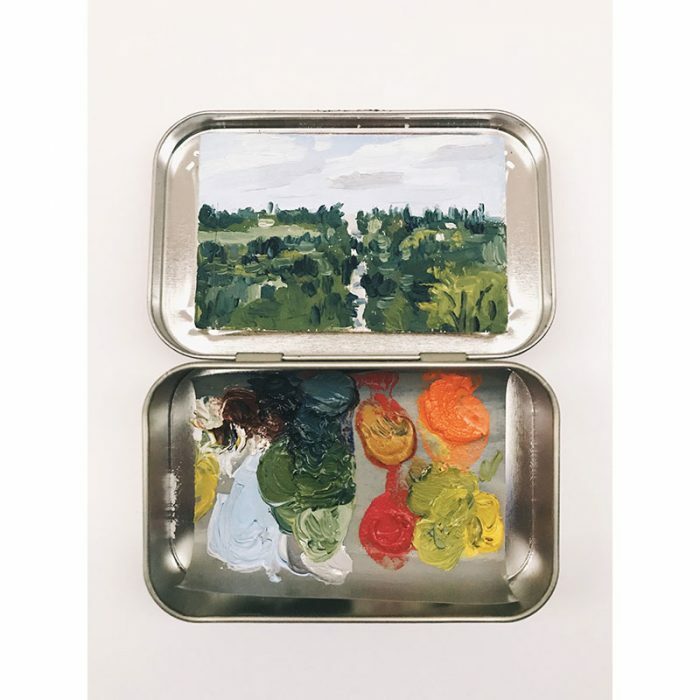 Jessica Tamlin’s paintings are inspired by her surroundings, whether something she passes by everyday, or something that is sought out on small adventures. She has an appreciation for and connection with the everyday beauty that we sometimes pass without a thought. 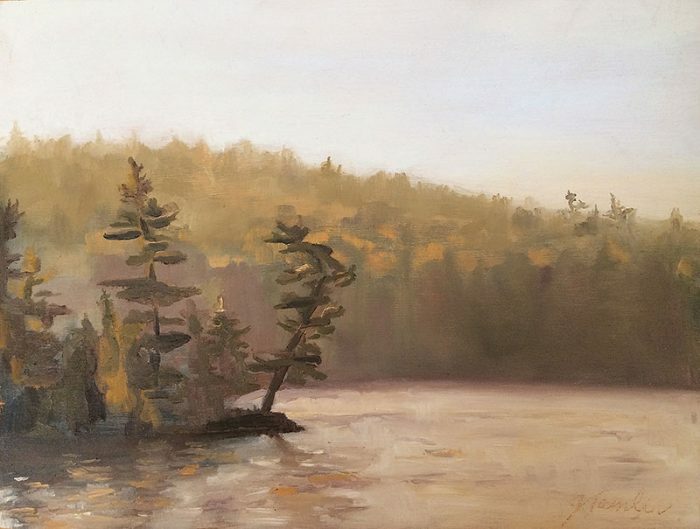 Using a limited palette, she paints with small, deliberate marks, often getting lost in the subject matter. Tamlin attended The University of Guelph, where she graduated with honours in Fine Arts. 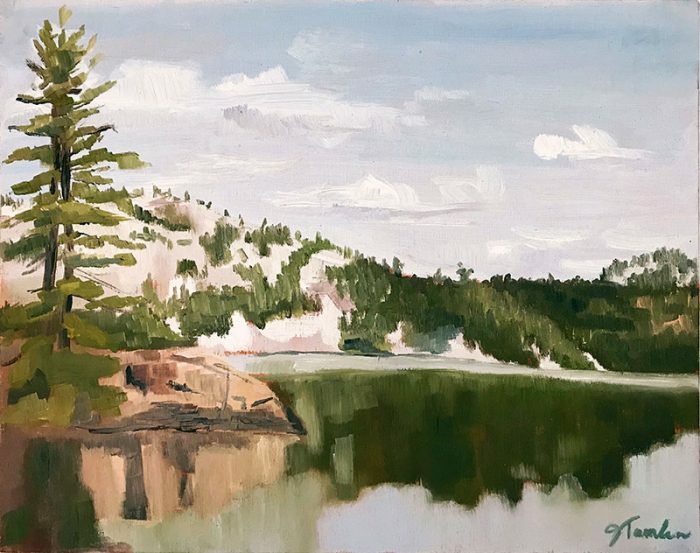 In her early art school days, drawing, printmaking and sculpture were her main focus of study, but she has always held a passion for painting—especially landscapes— some of which are completed en plein air.